Williams (coach's decision) is inactive for Sunday's game at Pittsburgh, Adam Teicher of ESPN.com reports. Analysis: The specifics surrounding Williams' inactive status have yet to be released, but it's unlikely the LSU product would have had any major impact during Sunday's contest anyway. Slotted as the team's No. 4 running back, Williams will need to carve out a larger special teams role if he plans on keeping a roster spot for the entire 2018 season. 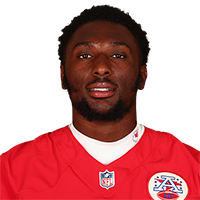 Williams has made the Chiefs' 53-man roster, Adam Teicher of ESPN reports. Analysis: Williams spent his collegiate seasons working behind Leonard Fournette and Derrius Guice, so he never really got an opportunity to showcase his talent. That changed this preseason and he impressed the brass enough to stick around over Kerwynn Williams and Charcandrick West. He'll remain a depth option at running back in 2018. 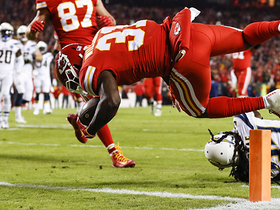 Williams rushed 11 times for 41 yards during Thursday's preseason finale against the Packers. He also secured all three of his targets for an additional 19 yards and a touchdown. 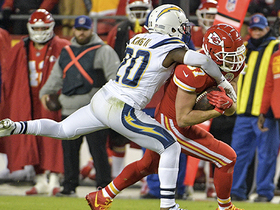 Analysis: Williams gave the Chiefs very good reason to keep him on the team ahead of Saturday's roster cuts. In fact, Williams looked like he might even be the second-best running back on the team, particularly after showing his impressive chops as a receiver. However, one needs to account for the fact that Williams was playing against depth-caliber competition Thursday, as both teams held out the majority of their starters. Williams rushed six times for 16 yards and caught two passes for 14 yards during Thursday's preseason opener against the Texans. Analysis: Williams faces a tough challenge to make the 53-man roster with numerous backs -- all more experienced -- also vying for a limited number of spots allotted to running backs. The coaching staff will likely want to get a long look at the borderline guys in the first couple of weeks before the team has to begin making cuts.